WARNING: Smoking cigarettes/using tobacco while using hormonal birth control (pill/patch/ring) increases your risk of heart problems and stroke. Do not smoke. The risk of heart problems increases with age (especially in women over 35) and with frequent smoking (15 or more cigarettes a day). 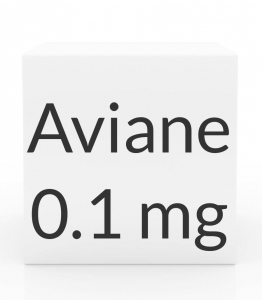 USES: This combination hormone medication is used to prevent pregnancy. It contains 2 hormones: a progestin and an estrogen. These hormones prevent pregnancy in 3 ways. One way is by preventing the release of an egg (ovulation). A second way is by changing the cervical mucus, making it more difficult for an egg to meet sperm (fertilization). A third way is by changing the womb lining, making it difficult for a fertilized egg to attach to the lining of the womb (implantation). A fertilized egg (embryo/unborn baby) needs to attach to the womb to receive blood and nutrients and continue to grow. If an embryo/unborn baby does not attach, it cannot survive. Besides preventing pregnancy, birth control pills have been shown to help make your periods more regular, decrease blood loss and painful periods (dysmenorrhea), and decrease your risk of ovarian cysts. Use of this medication does not protect you or your partner against sexually transmitted diseases (e.g., HIV, gonorrhea, chlamydia). HOW TO USE: Read the Patient Information Leaflet provided by your pharmacist before you start using this product and each time you get a refill. The leaflet contains very important information on when to take your pills and what to do if you miss a dose. If you have any questions, consult your doctor or pharmacist. Take this medication by mouth once daily or as directed by your doctor. Pick a time of day that is easy for you to remember, and take your pill at the same time each day. It is very important to continue taking this medication exactly as prescribed by your doctor. With certain brands of birth control pills, the amount of estrogen and progestin in each active tablet will vary at different times in the cycle. Therefore, it is very important that you follow the package instructions to find the first tablet, start with the first tablet in the pack, and take them in the correct order. Do not skip any doses. Pregnancy is more likely if you miss pills, start a new pack late, or take your pill at a different time of the day than usual. Taking this medication after your evening meal or at bedtime may help if you have stomach upset or nausea with the medication. You may choose to take this medication at another time of day that is easier for you to remember. No matter what dosing schedule you use, it is very important that you take this medication at the same time each day, 24 hours apart. Ask your doctor or pharmacist if you have any questions. Your pill pack contains 21 pills with active medication. It may also contain 7 reminder pills with no medication. Take one active pill (with hormones) once daily for 21 days in a row. If you are using a product with 28 tablets, take an inactive pill once daily for 7 days in a row after you have taken the last active pill unless otherwise directed by your doctor. If you are using a product with 21 tablets, do not take any tablets for 7 days unless otherwise directed by your doctor. You should have your period during the fourth week of the cycle. After you have taken the last inactive tablet in the pack or gone 7 days without taking an active tablet, start a new pack the next day whether or not you have your period. If you do not get your period, consult your doctor. If this is the first time you are using this medication and you are not switching from another form of hormonal birth control (e.g., patch, other birth control pills), take the first tablet in the pack on the first Sunday following the beginning of your menstrual period or on the first day of your period. If your period begins on a Sunday, begin taking this medication on that day. For the first cycle of use only, use an additional form of non-hormonal birth control (e.g., condoms, spermicide) for the first 7 days to prevent pregnancy until the medication has enough time to work. If you start on the first day of your period, you do not need to use back-up birth control the first week. Ask your doctor or pharmacist for information about how to switch from other forms of hormonal birth control (e.g., patch, other birth control pills) to this product. If any of this information is unclear, consult the Patient Information Leaflet or your doctor or pharmacist. SIDE EFFECTS: Nausea, vomiting, headache, stomach cramping/bloating, dizziness, vaginal discomfort/irritation, increased vaginal fluids, or breast tenderness/enlargement may occur. Acne may improve or get worse. Vaginal bleeding between periods (spotting) or missed/irregular periods may occur, especially during the first few months of use. If any of these effects persist or worsen, notify your doctor promptly. If you miss 2 periods in a row (or 1 period if the pill has not been used properly), contact your doctor for a pregnancy test. Remember that your doctor has prescribed this medication because he or she has judged that the benefit to you is greater than the risk of side effects. Many people using this medication do not have serious side effects. Tell your doctor immediately if any of these serious side effects occur: changes in vaginal bleeding (e.g., continuous spotting, sudden heavy bleeding, missed periods), problem wearing contact lenses, dark patches on the skin (melasma), unwanted facial/body hair, swelling of the ankles/feet, weight changes (gain or loss). This medication may rarely cause serious (sometimes fatal) problems from blood clots (e.g., pulmonary embolism, stroke, heart attack). Seek immediate medical attention if you experience: sudden shortness of breath, chest/jaw/left arm pain, confusion, coughing up blood, sudden dizziness/fainting, pain/swelling/warmth in the groin/calf, tingling/weakness/numbness in the arms/legs, headaches that are different from those you may have experienced in the past (e.g., headaches with other symptoms such as vision changes/lack of coordination, existing migraines becoming worse, sudden/very severe headaches), slurred speech, weakness on one side of the body, vision problems/changes. Tell your doctor immediately if any of these rare but very serious side effects occur: lumps in the breast, severe stomach/abdominal/pelvic pain, mental/mood changes (e.g., depression, suicidal thoughts, persistent trouble sleeping), unusual tiredness, dark urine, yellowing eyes/skin. A very serious allergic reaction to this drug is unlikely, but seek immediate medical attention if it occurs. Symptoms of a serious allergic reaction include: rash, itching/swelling (especially of the face/tongue/throat), severe dizziness, trouble breathing. This is not a complete list of possible side effects. If you notice other effects not listed above, contact your doctor or pharmacist. In the US - Call your doctor for medical advice about side effects. You may report side effects to FDA at 1-800-FDA-1088. In Canada - Call your doctor for medical advice about side effects. You may report side effects to Health Canada at 1-866-234-2345. PRECAUTIONS: See also Warning section. Before using this medication, tell your doctor or pharmacist if you are allergic to any estrogens (e.g., ethinyl estradiol, mestranol) or any progestins (e.g., norethindrone, desogestrel); or if you have any other allergies. This product may contain inactive ingredients, which can cause allergic reactions or other problems. Talk to your pharmacist for more details. This medication should not be used if you have certain medical conditions. Before using this product, consult your doctor or pharmacist if you have: history of stroke or other blood clots (e.g., in the legs, eyes, lungs), blood clotting disorders (such as protein C or protein S deficiency), severe high blood pressure, abnormal breast exam, cancer (especially endometrial or breast cancer), diabetes that has caused kidney/eye/nerve/blood vessel disease, severe headaches, history of heart disease (e.g., heart attack, chest pain), heart valve disease, liver problems (e.g., liver tumor, active liver disease), current or suspected pregnancy, recent major surgery, long periods of sitting or lying down (e.g., immobility such as being bedridden), history of yellowing eyes/skin (jaundice) during pregnancy or while using hormonal birth control (e.g., pills, patch), unexplained vaginal bleeding, heavy tobacco use (especially if 35 or over). Before using this product, tell your doctor your medical history, especially of: high blood pressure, high cholesterol or triglyceride (blood fat) levels, depression, diabetes, swelling (edema), gallbladder problems, kidney disease, migraine, obesity, irregular/missed/very light periods, recent pregnancy, thyroid problems. Do not smoke cigarettes or use tobacco. Hormonal birth control (e.g., pills, injections, devices) combined with smoking significantly increases your risk for stroke, blood clots, high blood pressure, and heart attacks, especially in women older than 35. For more details, ask your doctor or pharmacist, or consult the Patient Information Leaflet that comes with this product. If you have diabetes, this medication may make it harder to control your blood sugar levels. Monitor your blood sugar regularly as directed by your doctor. Tell your doctor the results and any symptoms such as increased thirst/urination. Your anti-diabetic medication or diet may need to be adjusted. Notify your doctor beforehand if you will be having surgery or will be confined to a chair/bed for a long time (e.g., a long plane flight). You may need to stop the medication for a time or take special precautions. This medication may cause blotchy, dark areas on your skin (melasma). Sunlight may worsen this effect. Avoid prolonged sun exposure, sunlamps, and tanning booths. Use a sunscreen, and wear protective clothing when outdoors. If you are nearsighted or wear contact lenses, you may develop vision problems or trouble wearing your contact lenses. Contact your eye doctor if these problems occur. It may take longer for you to become pregnant after you stop taking birth control pills. Consult your doctor. This medication must not be used during pregnancy. If you become pregnant or think you may be pregnant, tell your doctor immediately. If you have just given birth or had a pregnancy loss/abortion after the first 3 months, talk with your doctor about reliable forms of birth control, and find out when it is safe to start using birth control that contains a form of estrogen, such as this medication. This medication passes into breast milk. This may affect milk production and may have undesirable effects on a nursing infant. Consult your doctor before breast-feeding. DRUG INTERACTIONS: The effects of some drugs can change if you take other drugs or herbal products at the same time. This can increase your risk for serious side effects or may cause your medications not to work correctly. These drug interactions are possible, but do not always occur. Your doctor or pharmacist can often prevent or manage interactions by changing how you use your medications or by close monitoring. To help your doctor and pharmacist give you the best care, be sure to tell your doctor and pharmacist about all the products you use (including prescription drugs, nonprescription drugs, and herbal products) before starting treatment with this product. While using this product, do not start, stop, or change the dosage of any other medicines you are using without your doctor's approval. Some products that may interact with this drug include: aromatase inhibitors (e.g., anastrazole, exemestane), raloxifene, sodium tetradecyl sulfate, tamoxifen, medication for underactive thyroid (hypothyroidism), drugs that may increase blood levels of this drug (e.g., acetaminophen, ascorbic acid/vitamin C, atorvastatin, azole antifungals such as itraconazole/ketoconazole/vaginal miconazole). Some drugs may cause hormonal birth control to work less well by decreasing the amount of birth control hormones in your body. This effect can result in pregnancy. Examples include griseofulvin, modafinil, rifamycins (such as rifampin, rifabutin), St. John's wort, drugs used to treat seizures (such as barbiturates, carbamazepine, felbamate, phenytoin, primidone, topiramate), HIV drugs (such as nelfinavir, nevirapine, ritonavir), among others. Tell your doctor when you start any new drug, and discuss if you should use additional reliable birth control. Also tell your doctor if you have any new spotting or breakthrough bleeding, because these may be signs that your birth control is not working well. This drug can speed up or slow down the removal of other drugs from your body by affecting certain liver enzymes. These affected drugs include acetaminophen, certain beta blockers (e.g., metoprolol), clofibrate, cyclosporine, morphine, corticosteroids such as prednisolone, certain benzodiazepines such as lorazepam/temazepam, theophylline, and tizanidine, among others. If you are currently using any of these medications listed above, tell your doctor or pharmacist before starting this medication. This medication can affect the results of certain lab tests (e.g., blood tests for clotting factors, thyroid). Make sure laboratory personnel and all your doctors know you use this medication. This document does not contain all possible drug interactions. Keep a list of all the products you use. Share this list with your doctor and pharmacist to lessen your risk for serious medication problems. OVERDOSE: If overdose is suspected, contact your local poison control center or emergency room immediately. US residents can call the US national poison hotline at 1-800-222-1222. Canadian residents should call their local poison control center directly. Symptoms of overdose may include severe nausea and vomiting. Females may experience sudden/unusual vaginal bleeding. NOTES: Do not share this medication with others. Keep all appointments with your doctor and the laboratory. You should have regular complete physical exams including blood pressure, breast exam, pelvic exam, and screening for cervical cancer (pap smear). Follow your doctor's instructions for examining your own breasts, and report any lumps immediately. Consult your doctor for more details. MISSED DOSE: Missed dose advice is different depending on the brand used and the number of doses missed. Refer to the product package information for advice on missed doses. You may need to use back-up birth control (e.g., condoms, spermicide) to prevent pregnancy. Ask your doctor or pharmacist if you have any questions. If you often forget to take your pills as directed, contact your doctor to discuss switching to another form of birth control.